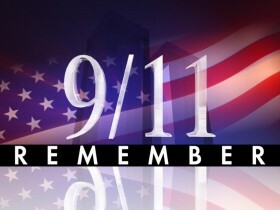 Today is the twelfth anniversary of the 911 attack on the US. There are many reasons why people want to remember that day. One reason I want to remember this event is because it demonstrated the worst and best of humanity in stark contrast. Mass murder motivated by hatred, envy, the quest for power and notoriety, and misguided religious zeal versus an unselfish love and compassion for our fellow human beings. On that day, there was the most massive outpouring of compassion on a worldwide basis in human history. It is truly remarkable that the overwhelming outcome of the attack was not hatred or the desire for revenge, but rather an outpouring of love and compassion. It was a true testament to the triumph of good over evil, and it demonstrated the collective compassion of people everywhere. So you see, compassion is at the core of our divine nature as human beings. It crosses all boundaries of race, religious belief (or lack thereof), or country of origin. On that day we were all one people, grieving the massive loss of life, and feeling deep compassion for all of those who lost loved ones. We need to find a way without disasters to allow it to become what defines us as human beings in our everyday life. We need to love without fear, reservation, or qualification. I believe the expression of love and compassion is the secret to finding true happiness and fulfillment in life. But not just for your circle of friends and family, for people around the world, just as people everywhere did on September 11, 2001. This entry was posted in Uncategorized and tagged 911 attack, divine nature, Spirituality.